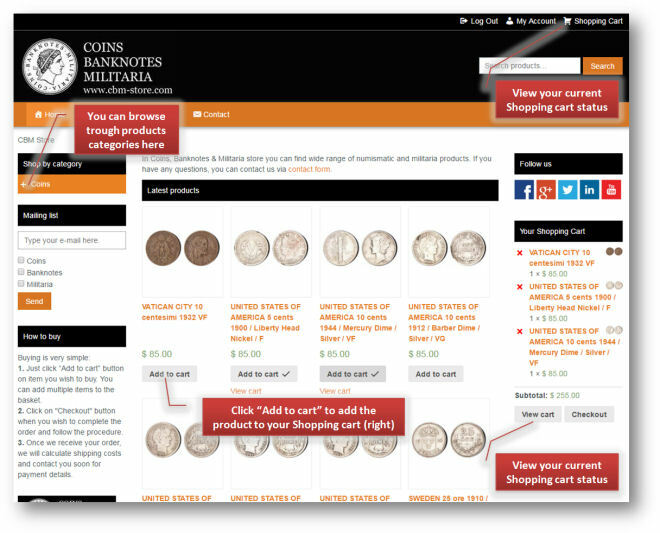 You can browse items by categories. Just click on “+” symbol when you wish to expand the category. 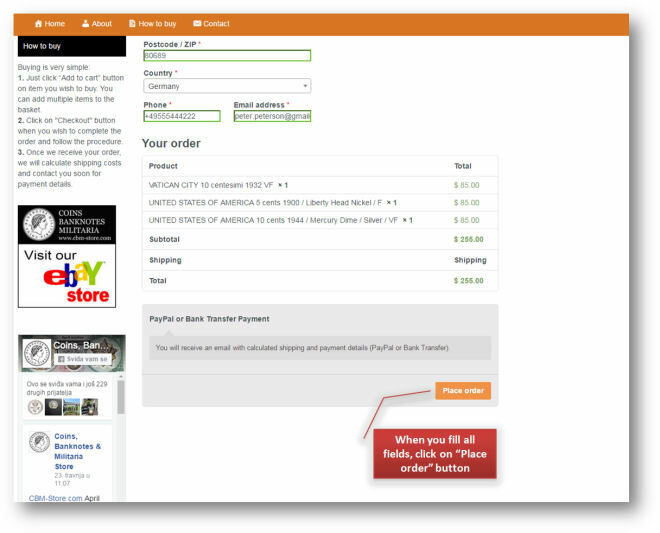 When you wish to buy some item, just click “Add to cart” and item will be added to your cart. You can see current cart status on the right part of the screen. For details click on “View cart” or “Checkout” if you wish to place your order. If you clicked on “View cart” you will see current status of your cart. 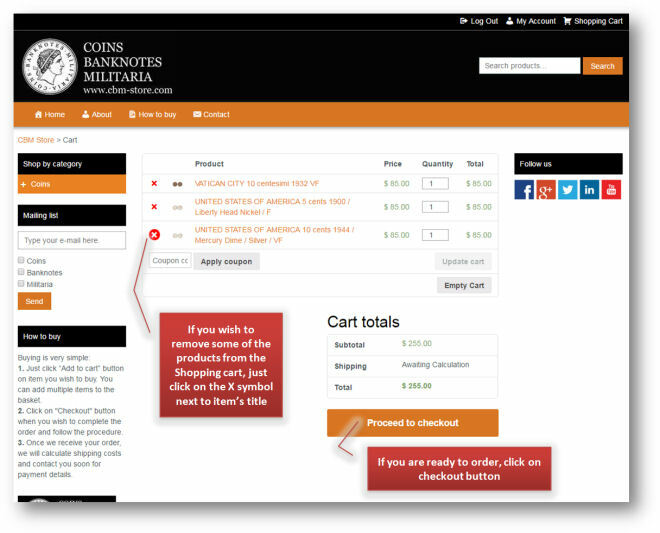 If you wish to remove some of the items from your cart, just click on “X” symbol on the left of the item’s title. 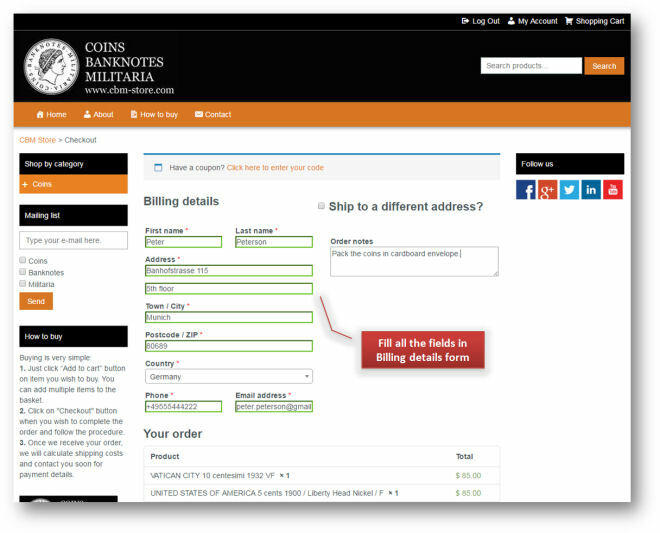 When you are ready to place your order, click on “Proceed to checkout”. In next step, fill the necessary fields with your data. If you have some special notes to us, there is “Order notes” field. After you filled your data, scroll down and click on “Place order”. 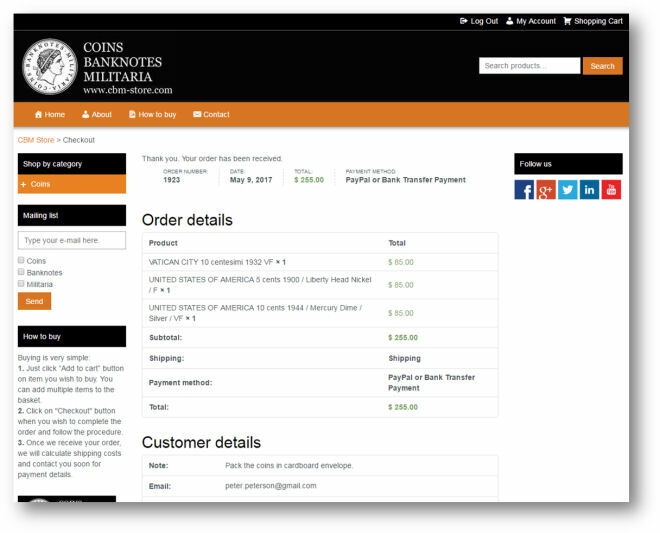 After you clicked on “Place order”, your order is submitted to us and we will process it. 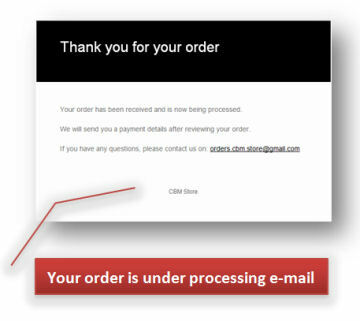 On your e-mail you will receive a message which says that your order is submitted to us and waits to be processed. 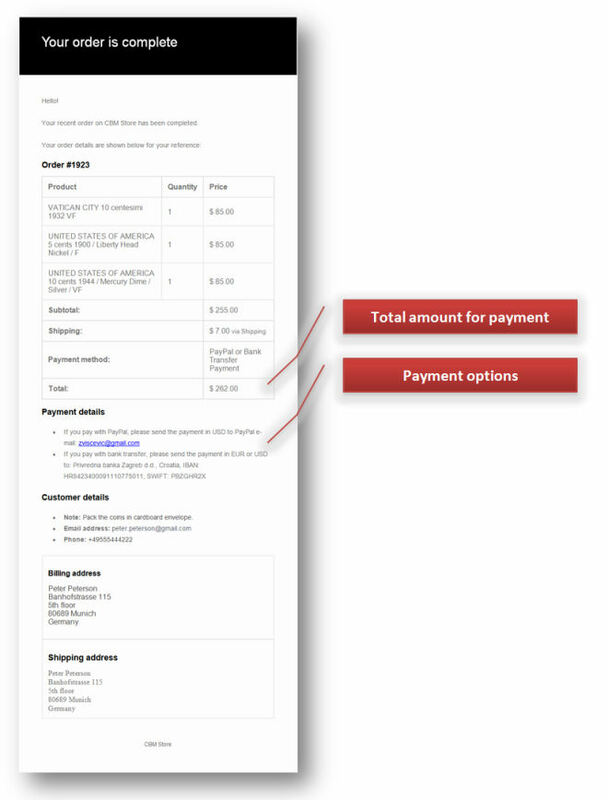 After we process your order, you will receive e-mail with all details of your order, including shipping cost and payment details. After we receive your payment, we will send your order by registered airmail and provide you with tracking number. If you have any question about ordering process, please contact us.